Worship KidStyle meets every Sunday morning during the 10:30am worship time. Worship KidStyle is designed with children in mind as they engage in a time of worship, Bible study, and activities. 2 & 3-year-olds meet in their Bible Study room next to the nursery. K.L.I.C. is an acroynm for Kids Learning, Living, and Loving In Christ. K.L.I.C. 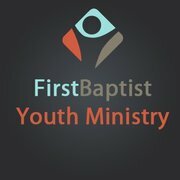 is an afterschool ministry for children in 1st-6th Grade. Below you will find a schedule of those Tuesdays for the year. The student ministry of First Baptist, Taylorsville, is focused on helping students come to know and treasure the love of Jesus Christ while leading them to pursue God's own heart. This will, in turn, launch those students to impact their homes, schools, community and world for the glory of God. The Hands and Feet ministry is a ministry of our church that includes a food pantry and clothes closet. It is operated from the Lighthouse. The Lighthouse is the old Memorial Chapel funeral home, located directly north of our worship center. The third Thursday of every month at 4-5:30PM we distribute food to residents of Smith County who are in need of assistance. The first and third Saturday of each month the clothes closet is open from 8AM until Noon. To donate food or clothing please contact the church office. For over 25 years the FBC Taylorsville's Weekday Kindergarten ministry has been committed to the spiritual, mental, physical, and educational development of the children enrolled. For more information about our program, contact the church office and talk to our director, Sharon Skinner, or call the church office 601-784-4747. We will be glad to assist you.